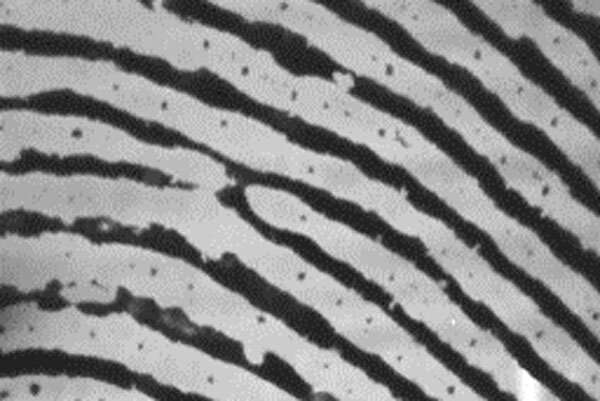 The group has developed a new proximity capacitance imaging sensor that has such high sensitivity and resolution that a fingerprint scan shows more than the swirls of a fingertip—it detects the sweat pores between the ridges. The prototype sensor was first presented in December at the 2018 IEEE International Electronic Devices Meeting in San Francisco, California. A paper describing the details of the sensor was published in the Technical Digests of 2018 International Electron Devices Meeting. Last week, the authors presented new materials and results from the study at a conference organized by the Institute of Image Information and Television Engineers (ITE) in Japan. Many touchscreen phones and computer trackpads use a less sensitive capacitance sensor, where the differences in electrical properties between a sensor and a conductive tool (such as a finger) allow the device to react to scrolling or double clicking. The capacitance increases when the object is closer—the double-click versus lighter scrolling. The prototype sensor was first presented in December at the 2018 IEEE International Electron Devices Meeting in San Francisco, California. A paper describing the details of the sensor was published in the Technical Digests of the 2018 International Electronic Devices Meeting. On March 22, the authors presented new materials and results from the study at a conference organized by the Institute of Image Information and Television Engineers (ITE) in Japan.